one of the most anticipated season for travelers and photo enthusiasts is summer. 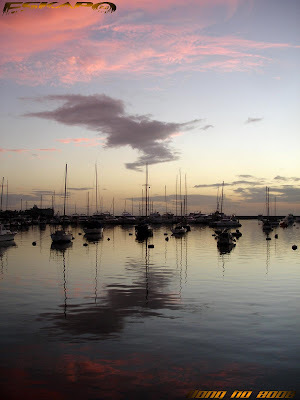 you can expect clearer skies, serene beach waters and beautiful sunset. this year, i'm having a hard time choosing where to go as this season will just be three months. so many islands, so many beaches, so many mountains to explore. 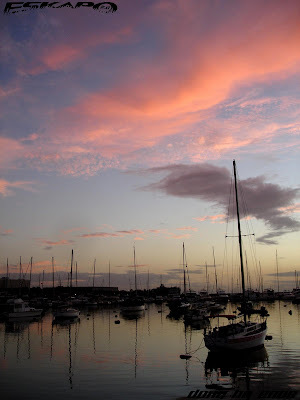 i had the chance to drop by Manila bay and the Manila Yacht Club to witness the beautiful sunset, where one does not worry about the lighting. one just have to point and shoot. palawan? maybe go snorkeling. :) hindi pa kami nkakapunta dun e. any advice on what should we do there if we go? Wow these are lovely shots of the bay! Beautiful, stunning photos! Beautiful photos from a lovely place! true...summer is too short, too many places waiting for be explored! kung pwede magrequest sana dun sa lugar na di takaw pansin. you know there are so many places in the philippines where tourists haven't gone yet and you'd be the trailblazer ika nga. where ever you go, i'm sure i'd go with you from where i sit. I canot go to places far from ours this summer, it's a very tiring season for me because of work and to think that we are moving to the new house, medyo kukulangin ako sa budget, besides, i have to make ipon for the tuition na naman, hahayyyy... Great pics dom! Wow, these are wonderful sunsets. Great shots! As long as you post your photos, I'll still have fun! You are very lucky to be able to travel to all these beautiful places! would really love to go to caramoan but it's fully booked na till july (tama ba?). maybe boracay is a good place to visit this summer, and based on your blog you really had a great time there. summer... no more classes, no more books! Hehehe... I go back to Belgium for my summer vacation. "Just point and shoot"--you are so modest! ang husay husay mo talaga! nandyan din ako last december... nipost ko sa blog yung mga pics. ganda ng mga kuha mo dom. famous talaga yang manila bay sa sunset at sabi nila what makes it different is the presence of smoke and air pollution that accumulates in the area. saan ako pupunta this summer? saan ba maganda? i really love sunset..kahit saang anggulo tignan,sobrang ganda..
hopefully,makabalik ako ng davao and north cotabato this summer. babalikan ko yung mga tinatawag kong hidden paradise na napuntahan ko dun last summer at sana din maakyat ko na ang mt.apo. What a light in Manila Bay, I'd like to be there. Very lovely series of photos. Love the beautiful orangy colour sky. Your life is filled with so rich travelling experience and am glad you are sharing with us too. :) Have a nice weekend, Dongho. ganda ng manila bay :) i don't know where to go for summer yet. i just came from panglao. ang dami nang tourists! summer is definitely here! I really love summer. Walang ulan, maganda ang sunset at sunrise. gusto ko i-explore ang panay area bago pumunta sa ibang lugar. Nice feature again Dong! I guess with your talent, you can just go anywhere and you can still capture brilliants fotos. Love the pics! We plan to take a moho trip with our daughter and family to South Carolina. There will probably be more trips than just that one:) Check out my blog for today! I am almost ready to post it. nice pix nic...more sunrise pix nxt tym arnd ha? :) for the summer...cguru...i'll wait for u here? hope to c u soon! thanks for your comment. why do you think, i have to resize my blog-headder? You're is just as big. or what is the difference? Please explain it to be, as I know far too little about IT! Those are beautiful sunset shots! Jealous that you can take photos of Manila right now. 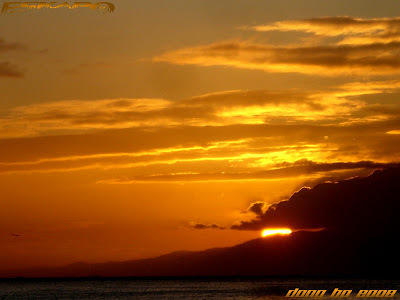 ah breathtaking sunset photos--ang ganda! >hi ellesig, palawan is one big adventure island. you can do almost everything there and anything there. if you love snorkeling, kayaking, scuba diving you will enjoy coron. if you love roadtrips while seeing vast nature display, you'll enjoy puerto princessa and the nearby towns. dont miss honda bay, el nido and cuyo group in the future. >christian, salamat. 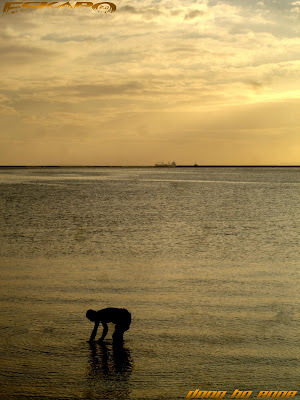 isa din sa nagpapaganda sa manila bay or sa roxas boulevard ay ang mga tao na pwede mo ring maging subject in silhouette. >hi luna, thanks! that's true for frequent travelers. and you are one of them. >hi photo cache, ill go for those places. just keep in touch always. continue bringing us to new places as well. >hi sheng, not bad since you're giving more time prioritizing what's important. i actually believe there's lot to discover even just around gen san. i might even be cheap. >hi hilda, just keep those manila street shots coming. good enough for us to see the metro thru your posts. >luke, simply because it's still cheap to travel around the philippines. you only need to discover the ways. >hi ailee, maybe living the day but also reminds us to look for another day. >hi nanaybelen, i think hope is still there. >theonoski, hehehe... sayang nga yung caramoan. im going to boracay during the second half of the year. >hi juleste, great! thanks to em. summer will be exciting this year. >sidney, i remember you sharing that. im featuring you on my new website instead that is hopefully up by end of april. watch out. 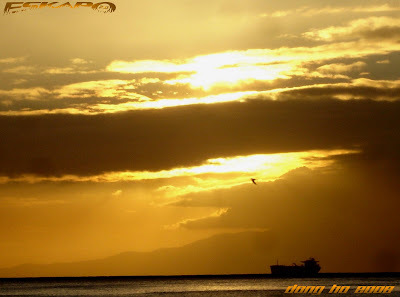 dont forget to feature the sunset in manila bay in your blog. >hi sandy, thanks. a photo of manila's sunset is definitely just like that. >hi em, thanks. i suggests that you prepare ahead for the summer there. where to go, what to see. >eben, hahanapin ko yung mga kuha mo. salamat. >oman, hahaha... ganun ba? hindi ko alam yun ah. punta tayo sa beach. update kita sa mga napagplanuhan kong puntahan. >hi lizelement, im also using a point and shoot camera. it has a 7.2mp capability but i only use 1mp because the mega pixel doesnt completely define the quality of your photos. a 7.2mp and 1mp photo when posted or printed as 4R size wont have a significant difference. >hi doc, ayos yan. target ko rin na pumunta ng davao this summer. baka magkasabay pa tayo nyan. abangan namin yan pag natuloy ka. >hi alicesg, simply because it's still cheap to travel within the philippines. you should come here again. >hi mitz, i recommend you to go to siargao or gensan. you might also want to try the beaches of palawan. >madbong, dami kang dalang memories itong sunset sa manila bay. dito magsisimula pa lang ang summer kaya dadami pa ang ba byahe. >redlan, ayos yan. sana ma-feature mo ang nogas island. >jasper, thanks. i hope i get a more decent camera soon. >hi sandy, wow! that's exciting. ill definitely be dropping by your blog for that. >hi chite, thanks! from the situation happening there, i might actually change plans this summer. >hi sarah, thanks! the photo in your header exceeds the background size. you can see the background layout at the back of the header and you'll notice that the photo there exceeds on the right side. i saw the award that you gave me! i really appreciate that. thank you very much! >hi joy, as much as you want to capture manila i also envy you taking shots of sunset there in your area. keep posting. >rebecca, thanks a lot! you too have a great weekend. >hi carlotta, im scheduled to be in marinduque this year. good choice! romblon is also a nice place to relax. >hi karmi, yes. mainit na at pwedeng pwede na pumunta sa beach dahil walang bagyo. Manila Bay Sunset is really wonderful to watch but of course minus the smelly seas. nice photos especially the last one ! I'm not yet sure where to go this summer but I'm looking forward to this wonderful season. No matter what they say re: Manila Bay, they still can't take away the fact that it has one of the most stunning sunset/sunrise this planet has ever seen. in manila, perhaps. be looking for a new job there. hehe. tsk. Beautiful twilight and sunsets! My favourite part of the day. Beautiful skies over the bay - love the peach, pink, blue, golden clouds. great pictures. ganda talaga ng manila bay sunset. hi! thankyou! for adding me on your blogroll! im reading about coron now! im so excited! we should fly right? you should have a question and answer portion on your page for people like me! (makukulit) haha! >tanchi, thanks! ill take note of that. >greenpinas, didnt notice that anymore. maybe it's cleaner now that the food shops and bars were already removed from that area. >hi rachel, im sure there's a lot to choose. enjoy! >hi andy, true! people can simply sit down and be awed by its beauty. >raft3r, ayos. tamang tama nga. >jm, definitely one of the best part of a day. >hi vanny, ayos doon. i recommend the islands of camotes, bantayan, olango, and malapascua plus the beutiful kawasan falls. good choice! >hi ellesig, you're welcome. you can always ask questions. just post it on the comments section. it is my pleasure to be of help. super ganda naman ng mga litrato mo! tlgang pam-malakasan! wla akong msabi - thumbs up!...saveasa ko yun isang pic mo kung pede yun may boat...bka e-apint ko minsan ganda eh...tc Dong! The Manila Bay sunset is really gorgeous, isn't it? I'd go there again one day. I'm afraid my summer is going to be as boring as always. I have no plans at all. 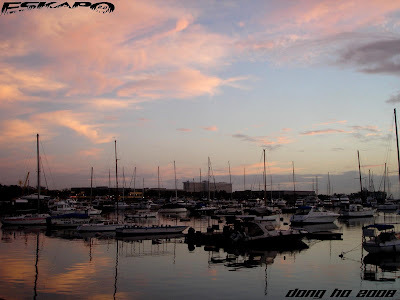 Beautiful shots of the famed Manila Sunset and of the marina. How I miss both sights.